Acne Vulgaris is a common disease of skin affecting all ages near puberty. Acne is a disease of the Pilosebaceous unit, affects 80% of young people between 12 and 18 years of age. Acne may be trivial, with only a few comedones or papules or may occur as the highly inflammatory and diffusely scarring one. Acne most commonly appears on the face but can also occur on the back, chest, shoulders and neck. Acne can be managed with the proper medication or a combination of medications. There are several prescription treatments, both topical and oral, that are highly effective in treating the different types of acne. If you have tried OTC treatments (the ones you buy in drug stores) with limited success, it may be time to see a dermatologist. If you are using creams, gels or lotions, it is important to cover the entire affected area (don’t just spot-treat), as the medication may help prevent new pimples from forming. It is also important to follow the instructions for applying these treatments, since using too much of the product will not help your skin get better faster and may lead to irritation. For the treatment of Acne Vulgaris. Topical Treatment for Mild to Moderate Acne Vulgaris. Improves Inflammatory and Non-Inflammatory Acne lesions. Surface area of skin is 1.5 – 2m. Stratum corneum is thickest at the palm and sole whereas thinnest at the eyelids and face. Stratum corneum is 1mm thick, after absorbing water it becomes 3mm thick. Stratum corneum holds 5 to 6 times water. Water loss from the skin is from dermis to blood to epidermis by osmotic pressure. Stratum corneum is covered with the lipid layer, which prevents the water loss and maintain the moisture. The water loss from Stratum corneum is called Transepidermal evaporation. The oil glands do not supply enough lubrication to the skin. As a result, the skin becomes dehydrated. Skin gets exposed to the elements especially in winter. Dry skin could be due to a genetic condition. Poor diet. Nutritional deficiencies, especially deficiencies of vitamin A and the B vitamins, can also contribute to dry skin. Environmental factors such as exposure to sun, wind, cold, chemicals, or cosmetics, or excessive bathing with harsh soaps. Conditions such as dermatitis, eczema, psoriasis, or seborrhea. It hydrates, rejuvenates and softens the skin. It hydrates, rejuvenates, softens suitable for all skin types. It provides lubrication of dry and flaky skin. Skin constantly sheds dead cells every 28 days. This shedding is normal and most of the time it is unnoticed. When the shedding of skin from the scalp becomes obvious or is accompanied by itchiness then it is called dandruff. A fungus Pityrosporum Ovale. Over abundance of this organism is instrumental in the development of scalp, scaling and irritation. Cold weather and dry indoor heating. Excessive use of hair colouring products or electric hair curlers. Tight fitting hats or scarves. Excessive use of hair sprays and gels. Infrequent shampooing of hair or inadequate rinsing. It Stops the drying of hair which leading to hair damage. Effective for treatment of Cradle Cap in Children. 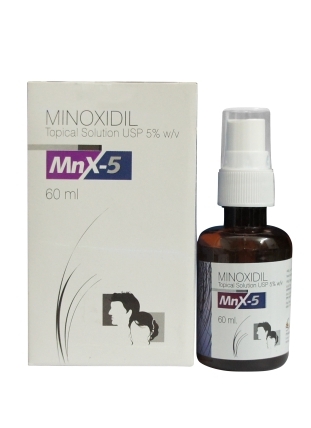 Controls Dandruff, Psoriasis of scalp & Seborrhoeic Dermatitis. Sharply demarcated, brown macules, usually in a symmetrical distribution on the cheeks and foreheads and sometimes the upper lip mand neck, often associated with pregnancy or other altered hormonal state. In skin one melanocytes supplies the melanin to 10 Keratinocytes. Melanocytes having a thread like projections called (Dendritic cells) Dendrites. Melanosome present in the cells as a small ballon like sacs that contains melanin and impart colour to the skin. These small sacs are clubbed together so the person looks fair but as they enter into the sunlight these are spread out as a result colour changes into darker. If the exposure is more the mealnosomes starts increasing and producing more melanin. Helps in strengthening the Hair Follicle and nails. Helps in nurturing the Hair Follicle. Stop Hair Fall and Restore Hair Growth. ANDROGENIC ALOPECIA (also known as androgenetic alopecia or alopecia androgenetica) is a common form of hair loss in both male and female humans. In male humans in particular, this condition is also commonly known as male-pattern baldness. Hair is lost in a well-defined pattern, beginning above both temples. Over time, the hairline recedes to form a characteristic “M” shape. Hair also thins at the crown of the head, often progressing to partial or complete baldness. A variety of genetic and environmental factors likely play a role in causing androgenetic alopecia. Although researchers are studying risk factors that may contribute to this condition, most of these factors remain unknown. Researchers have determined that this form of hair loss is related to hormones called androgens, particularly an androgen called dihydrotestosterone (DHT). For Hair Fall and Loss. Scabies is an infestation by the itch mite, Sarcoptes scabiei. Mites are small eight-legged parasites (in contrast to insects, which have six legs). They are tiny, just 1/3 millimeter long, and burrow into the skin to produce intense itching, which tends to be worse at night. The mites which cause scabies are not visible with the naked eye but can be seen with a magnifying glass or microscope. Scabies mites are very sensitive to their environment. They can only live off of a host body for 24 to 36 hours under most conditions. Transmission of the mites involves close person-to-person contact of the skin-to-skin variety. It is hard, if not impossible, to catch scabies by shaking hands, hanging your coat next to someone who has it, or even sharing bedclothes that had mites in them the night before. The physical contact required to contract scabies may, however, be sexual, and sexual contact is the most common form of transmission among sexually active young people. However, other forms of physical contact, such as mothers hugging their children, is sufficient to spread the mites. Over time, close friends and relatives can contract it this way, too. School settings typically do not provide the level of close personal contact necessary for transmission of the mite. Effective For the treatment of Scabies. Atopic Dermatitis is the most common chronic skin disease in children. The majority of patients are younger than 30 years, with 90 percent reporting symptoms beginning by five years of age.2 In this chronic condition, therapy is directed at decreasing inflammation and minimizing symptoms. Available treatments include oral antihistamines, topical emollients, and topical corticosteroids. It may also be alleviated with attention to bathing habits and avoidance of irritants. Disease severity and location determine which therapies are used. Topical steroids are commonly used to treat moderate to severe disease, but chronic use of these agents at higher concentrations can cause skin atrophy and pigmentation changes. Chronic use of higher potency steroids can also have systemic effects on the hypothalamic/pituitary axis and inhibit growth. These adverse events may limit corticosteroid use in young children and adults in all areas, especially the face and intertriginous zones. Effective For The Treatment Of Atopic Dermatitis, Lichen Planus & Vitiligo. Ideal for Atopic Dermatitis, Lichen Planus & Vitiligo. Effective For the treatment of Atopic Dermatitis, Vitiligo, Psoriasis, Lichen Planus. Sun is necessary for life, about 15 minutes of exposure a day helps the body make Vitamin D, which is important for healthy bones and teeth. However, too much sun exposure may lead to adverse health effects, from wrinkles to skin cancer. UV strength is greatest from 10.00 am to 4.00 pm during sunny summer days. UV exposure is greater at lower altitudes (next to the equator) and/or high altitudes. Snow, water, and sand increase sun exposure by reflecting incoming UV rays. Upto eighty percent of UV rays pass through clouds, meaning that sunburn is possible on cloudy days as well. Two types of UV radiation, UV-A and UV-B, have a myriad of harmful effects on the skin, contributing to skin colour change and premature ageing. UV-A rays are not absorbed by the ozone layer and penetrate deep into the skin contributing to premature ageing. UV-B rays are partially absorbed by the ozone layer and mostly affect the surface of the skin, and are primary cause of sunburn. Because of the thinning of the ozone layer, the effect of UV-B radiation pose an increased risk. UV radiations also weaken the immune system and are known carcinogen. It is estimated that a very high percentage of non-melanoma skin cancer (NMSC) and melanoma skin cancer are associated with exposure to UV radiation. In response to serious health hazard raised by overexposure to UV radiations, it is essential to protect from UV radiations. Sunscreens are products (chemical / physical agents) applied to the skin to protect against the harmful effects of the sun’s ultraviolet (UV) rays. Sunscreen’s active ingredients work by absorbing, reflecting, or scattering some or all of the sun’s rays. Sunprotek lotion contains ingredients, which offers protection against UV-A and UV-B radiations. Vitiligo (pronounced) or leukoderma is a chronic skin disease that causes loss of pigment, resulting in irregular pale patches of skin. The precise cause of vitiligo is complex and not fully understood. There is some evidence suggesting it is caused by a combination of auto-immune, genetic, and environmental factors. The population incidence worldwide is considered to be between 1% and 2%. Eyez Gel is a unique blend of peptides and DNA precursors and antioxidants.It Works quickly & directly to restore youthful looking eye contour on patients of all ages. Eyez gel actively works to minimize the appearance of fine lines,dark circles,puffiness and helps improve the tone and firmness around the eyes. The eyes are often described as “the windows to our soul “and can provide all sorts of information about our general health and well being. Efforts to accentuate the eyes range from application of moisturizing creams &colored pigments to medical procedures such as injections and surgery. The delicate skin around the eye is very thin and prone to puffiness and sagging so it requires special care beyond what a topical wrinkle cream can offer. Diffused or concentrated melanin deposits-Hyper pigmentation. Poor periorbital microcirculation and fragility of vasculature. The outcome is compromised Aesthetics, Low self esteem, and Undue psychological effects.